A severe disruption in even one of these functions can lead to a drastic worsening in one’s general health or any concurrent chronic conditions. Last but not least, kidney problems can eventually manifest in adrenal issues, as these glands are seated just above the kidneys. The first function in the list above (excretion of waste products and toxins) is the primary reason why doing a kidney detox regularly is absolutely essential for optimal health. 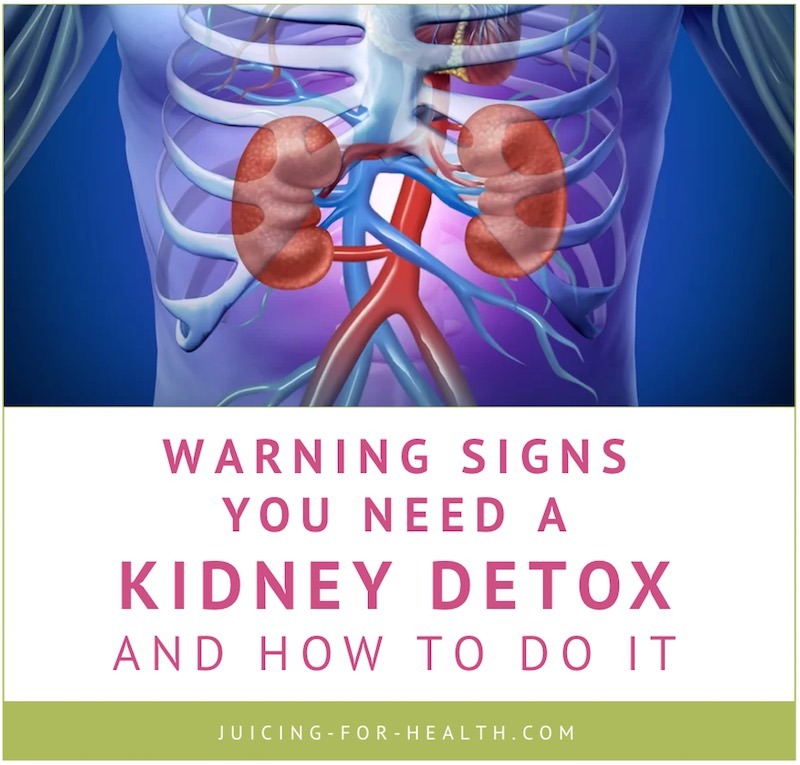 It’s perfectly natural that part of the toxins your kidneys excrete get ”lost” or ”trapped” in these organs, and while this isn’t exactly life-threatening in most cases, your kidneys will surely benefit from some extra help to cleanse themselves. That’s where the kidney detox enters the stage. But how do you know if you need a kidney cleanse in the first place? Let’s start with the basic point that if you are in your mid-twenties or up, and have never done it before, a kidney cleanse is highly recommended regardless of any other factors. Chronic kidney conditions. In this case, cleansing the kidneys from any residual toxins could significantly improve their function—and the chronic condition they fight. Persistent acne or skin rashes. All skin breakouts are your body’s attempts to get rid of some inner waste products or toxins, part of which could be located in the kidneys. That’s why cleansing them could improve the general health and beauty of your skin. Any kind of unclear pain in the back, including lower back pain. Unpleasant sensations in the back aren’t always caused by spine problems: in many cases, the kidneys are the real reason. Liberate them from residual waste, improve their function, and there’s a chance the back pain will improve! Kidney stones. Essentially, kidney stones are conglomerates of waste products, minerals, and toxins. 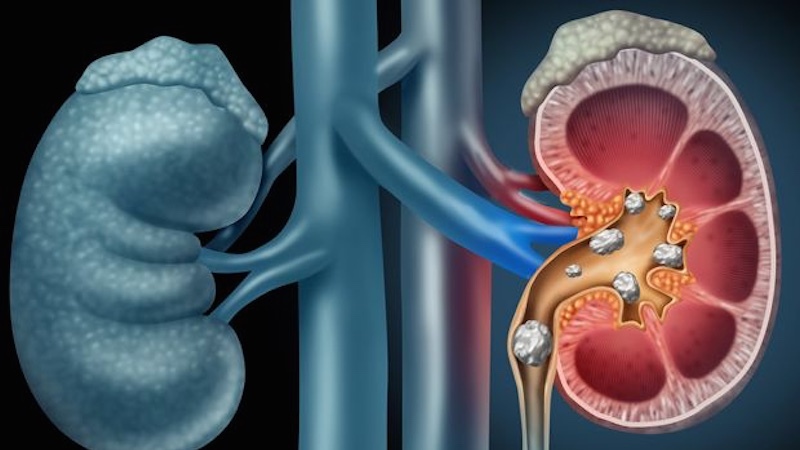 By doing a kidney cleanse you can both help your kidneys wash out existing stones AND prevent the formation of new deposits. Recent sessions of antibiotics, chemotherapy, or other conventional medication treatments. End products of the metabolization of drugs in your body can also get trapped in the kidneys, so doing a good cleanse is likely to support these organs and improve their function. One of the most common complications of diabetes is known as diabetic nephropathy, which is basically kidney damage caused by excessive blood sugar. If you have diabetes, doing a kidney cleanse regularly is likely to reduce the risk of getting diabetic nephropathy, which is currently one of the leading causes of kidney failure. Changes in urine color. The normal urine color is light-yellow. A more intense shade is a sign of overly concentrated urine, a much paler shade indicates an overly diluted urine, and any pathologic color (green, reddish, etc.) is an evident sign of kidney conditions. In such cases, doing a kidney cleanse could significantly improve the condition or prevent it from progressing in the first place. Now, if after reading the list above you decide that a kidney cleanse could be beneficial for you, the next (and most important) step is learning how to do it right. The first thing to do in any detox program is to take a good look at what you’re eating. Some foods are quite literally toxic to the kidneys, others are just stressful, although not necessarily unhealthy. In any case, there are certain foods you should avoid as much as possible during your kidney detox, and we’ll get into that in a moment. Some foods and herbs have what is medically known as a ”nephroprotective” effect, which literally means that they protect the kidneys. By preventing further damage to the kidneys (by toxins, waste products, and free radicals), you will be simultaneously enhancing the effectiveness of your body’s healing efforts. Some of these herbs also have a diuretic effect, meaning that they increase the production and excretion of urine. 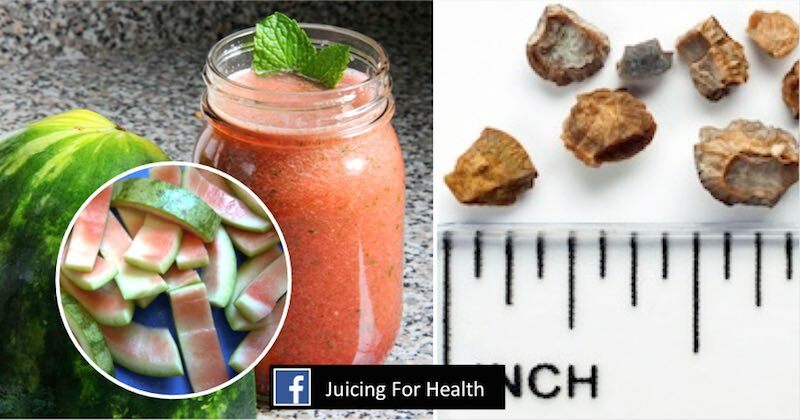 This will allow you to literally flush out all toxins and waste from the kidneys. Antioxidants prevent the formation of free radicals in your body, which are highly reactive ”stray particles” (molecules, atoms) that can severely damage the cells and tissues in your body. Antioxidants also scavenge existing free radicals, reducing their impact on your health. By increasing your intake of antioxidants, you will be helping your body to heal existing damage, and that’s why this principle is important for a proper kidney cleanse. Now, let’s take a closer look at each of these components. Before starting a kidney cleanse, it is important to read about the correct order of detoxifying your whole body for a more efficient toxin-flushing. The main goal of this part of the cleanse is to give your kidneys some time to rest by avoiding foods that require a lot of excretion from their part. For example, the end products of protein metabolism are nitrogenous waste substances (ammonia, urea, uric acid)—and guess how your body gets rid of it? That’s right, it excretes it through the kidneys. Eating a lot of protein during your kidney cleanse, regardless of whether it is from animal or plant sources, will give your kidneys much more work to do, which means that they will have less energy for the healing and detox. Animal sources of protein: poultry, fish, meat, dairy, eggs. Plant sources of protein: beans, grains, nuts, seeds. Proteins are still important for your health, so it won’t be wise to exclude them from your diet for good. Instead, adopt a low-protein diet during your kidney cleanse, meaning a daily intake of about 0.6 to 0.8 g of protein per kg of body weight (this is the recommended amount during chronic kidney conditions, but it also works for healthy people during kidney detox). Whenever possible, don’t eat all your daily protein in one seating; opt for small doses throughout the day instead. It is also recommended to limit your intake of added sugar (or better, drop it for good) since it also has an impact on kidney function. Alcohol in any form is also out of the question, as part of the end products formed during its metabolism are also excreted through the kidneys. Food is the primary medicine when it comes to natural healing, and these are the plants and herbs that are considered to be the most beneficial for kidney cleansing and support. Burdock root is a classic herb in traditional liver and kidney cleanse programs, and even modern science indicates that this is a great choice. Studies report that burdock root has significant antioxidative and anti-inflammatory properties, and animal models speak in favor of its nephroprotective action as well, especially when it comes to preventing heavy metal toxicity (such as cadmium). In terms of kidney healing, stinging nettle is one of the most versatile herbs ever. It attenuates the damage caused by fluctuations in kidney blood flow (which can be caused by drastic changes in blood pressure), helps in flushing out kidney stones and prevents their formation. Like burdock, stinging nettle is especially beneficial for cleansing the kidneys from heavy metals (especially mercury). Some other studies also highlight that taking stinging nettle is extremely beneficial for diabetics, as it helps to control blood glucose, and thus prevent the development or progression of sugar-related kidney damage (diabetic nephropathy). The main active ingredient in turmeric, curcumin, is especially beneficial for people suffering from chronic kidney disease and diabetes. It also has powerful antioxidative and anti-inflammatory action, and even a mild diuretic action that helps flush out kidney toxins. Dandelion is a powerful natural diuretic with a fast onset of action (first 5 hours). The roots and leaves of this plant also show significant antioxidative action and help to control blood lipids (remember that unhealthy blood cholesterol is a major risk factor for developing kidney stones). I have found that citrus fruits are some of the best foods you can eat that can quickly help to detoxify the kidneys. Many of my clients have reported almost immediate improvements (about a week) from drinking this lemon-ginger honey tea. Lemon juice helps to reduce the urge to pee in the night, and possibly reduce the symptoms that indicate that there is a problem in the kidneys. I can’t stress enough, how important it is to drink plenty of water daily to help your kidneys continually flushing out toxins. Find out here, how much water you need to drink daily. Drinking any less that your body requires daily on a long-term basis is just asking for trouble. In 2010, a huge study revealed the antioxidant content of thousands of foods, spices, and herbs was published in the Nutrition Journal. And although that’s impressive, some of the items are way too … exotic. So we’ve browsed through the whole list and made a little compilation of the richest AND most accessible natural sources of antioxidants that are allowed (and recommended) during a kidney cleanse. All numbers are for mmol of antioxidants per 100 g of the item. Please note that ALL other fruits and vegetables also have a certain amount of antioxidants in them. You should focus on just stuffing yourself up with as much plant-based foods as possible. Just eat real food, eat naturally and healthily. How Long Should A Proper Kidney Detox Be? Natural healing always takes time, when compared to popping pills. Eating real food will feed and nourish your body with the nutrients that it needs for healing. It takes time, but when healing comes, it stays, and best of all without side effects. Depending on how severe your kidney problem is, time may be different for every individual. Most people with a mild issue of the kidneys will see some improvements within a week. Don’t stop for at least another two weeks once you see improvements, or until you feel that you’re completely good. A lot of people have heard of the liver cleanse or colon cleanse, but the kidney cleanse is somewhat less popular. And that’s a terrible thing! Without properly functioning kidneys, all other organs and systems in your body will be extremely vulnerable to ANY kind of toxins that come your way. Which makes all other cleanses utterly pointless. That’s not how you do it! Consider all of these cleanses like pieces of the same puzzle: only when combined together, they provide the ultimate healing experience, bringing you closer to the state of optimal health that we all dream about. Go here to learn more about the correct order of detoxifying your whole body for a more efficient flushing.